Microaggressions and cultural misunderstandings are among the topics tackled this fall when Cuyamaca College launches its latest series of Diversity Dialogues with a Sept. 13 workshop focusing on latent biases. The fall season of Diversity Dialogues begins less than two months after Cuyamaca became the first community college in San Diego County to earn the prestigious John W. Rice Diversity & Equity Award from the California Community Colleges system. 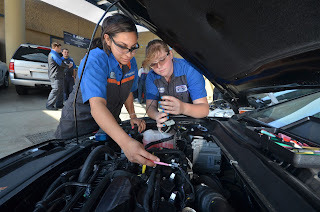 Cuyamaca was honored for an accelerated pathways program that is eradicating achievement gaps and significantly boosting the numbers of students completing required math and English courses. “Cuyamaca College prides itself on being a welcoming campus where different cultures are celebrated, not condemned, where different languages are treasured, not buried, and programs such as Diversity Dialogues continue to enlighten and educate our students, faculty, staff, and surrounding community,” said Cuyamaca College President Julianna Barnes. All workshops, which are free and open to the public, take place in Room I-207 of the Student Center. 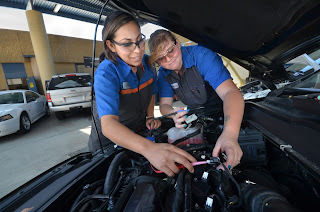 An anonymous San Diego County couple motivated by a desire to give back to the community has pledged $100,000 to help students at Cuyamaca College’s award-winning Automotive Technology program fund their education. The couple, who once attended a community college, said they hope the new ‘Pay It Forward Scholarship Program’ funded through their planned gift will ensure that any student with an interest can secure the training needed to thrive in an increasingly technologically complex industry with good-paying, in-demand jobs. The Grossmont-Cuyamaca Community College District has received a perfect score on the transparency of its information about the Proposition V construction bond program. The East County college district was one of eight San Diego County school and college districts, out of 23 with school bonds that were rated, to receive a perfect rating by the San Diego County Taxpayers Educational Foundation. This is the fourth year that the district has received outstanding marks for its bond program. The district was also noted as one of the “models of success” for its timely dissemination of information, and the foundation urged other school districts to follow the model in providing information about their bond programs. The district’s Proposition R and V website was praised for its organization and user-friendly interface so that information can easily be found. A wide range of musical styles - from Korean folk to the soundtrack of Guardians of the Galaxy - is coming to Cuyamaca College's Samuel M. Ciccati Theatre courtesy of the the annual Fall Concert Series that launches Aug. 27. Most performances begin at 7:30 p.m., with ticket prices set at $10 for general admission and $5 for students and seniors, unless otherwise noted. Guests can call (619) 660-4288 for reservations, and the first 20 students who attend are admitted for free. The Fall Concert Series kicks off Monday, Aug. 27, when jazz pianist extraordinaire Chase Morrin, who gave the premiere performance at the theater when it opened 10 years ago, returns with DoYeon Kim, a South Korean virtuoso on the gayageum, a traditional instrument of her homeland, for a selection of their original award-winning music. The Jeff Tower Memorial Quartet, named after the late Hemet High school icon who taught scores of students who went on to careers as music educators or performers, performs Friday, Sept. 21. The band, led by Hemet High School alumnus and Cuyamaca College Performing Arts Chair Taylor Smith, is comprised of graduates of the high school's program, some who also attended the Idyllwild Arts Academy. Tower died on July 4, 2017. Under his leadership, the Hemet High School band recorded several albums and performed across the world. Ten years ago, a then-13-year-old Chase Morrin gave the premiere performance at Cuyamaca College’s jewel of a theater, now known as the Samuel M. Ciccati Performing Arts Center. On Monday, Aug. 27, Morrin returns at 7:30 p.m. to Cuyamaca College to perform the music of GaPi, an enthralling fusion of jazz and Korean folk music that last year won the Korean equivalent to a Grammy. It is the first concert of the college’s fall semester. 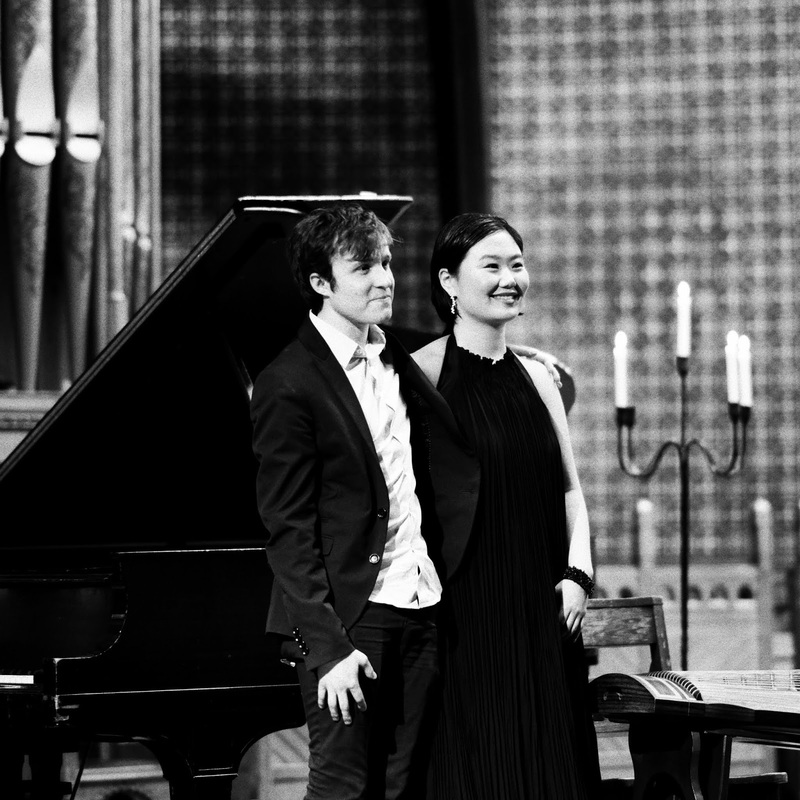 What started as a friendship at the New England Conservatory in Boston turned into a full-fledged collaboration between the former child prodigy-turned-jazz pianist and composer and DoYeon Kim, a South Korean virtuoso on the gayageum, a traditional instrument of her homeland. Morrin, 24, and Kim released their first album of original compositions in 2017 and toured South Korea, where they were nominated for best Jazz Cross-over at the 2017 Korean Music Awards. She is a research assistant at UC San Diego’s Department of Cell and Developmental Biology, she was invited to the prestigious National Collegiate Research Conference at Harvard University, and she once served as an emergency room volunteer at UCSD Medical Center – Hillcrest. 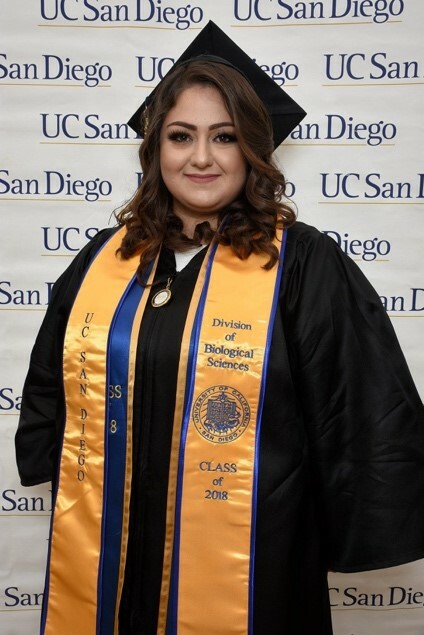 Meet Cuyamaca College alumna Lina Abdulnoor, who earned her bachelor’s degree in physiology and neuroscience from UCSD with the Class of 2018. Now she has her sights set on medical school. Not bad for an Iraq War refugee whose family was targeted during the height of the chaos and who didn’t know more than a few words of English when she moved to El Cajon in the spring of 2013.